CANNES, France—Spike Jonze has made a lot of great commercials over the years. "Crazy Legs" for Levi's. "Hello Tomorrow" for Adidas. "Lamp" for Ikea, which won the Film Grand Prix here in 2003. But one of his favorite ads is one he could have directed, but didn't: Fallon's famous "Balls" commercial for Sony Bravia, which won a gold Lion here in 2006 (eclipsed only by Guinness's "Nouitlove," which took the Film Grand Prix that year). The agency, Fallon, wanted him to do it but he couldn't visualize how it would work, Jonze told a packed house at the Cannes Lions festival here this afternoon. "That, to me, is just magic," the writer and director, 44, said of the spot during a 45-minute chat with SapientNitro worldwide chief creative officer Gaston Legorburu. "It's just got this mood. And the funny thing is, they sent me the boards, and I didn't get it. I didn't see it at all. The creatives obviously had something in their head, and they found the perfect director in Nicolai [Fuglsig of MJZ]. You could feel the joy they had making that." To Jonze, "Balls" was that rare beast—a bold, brilliant idea that even he couldn't see the potential of at first, but which a client green-lighted anyway, to great success. "As creatives, it's a hard thing to push, to make something you're truly excited about, especially if you've written 100 different concepts and they keep getting shot down," he said. "If there's any clients in the room, be willing to get fired over a good idea. That's what the world needs. It's easy for me to say. I don't have to pay your mortgage. But it's about finding people who aren't scared." Jonze, who got a hero's welcome at the Palais today, makes fewer ads than he used to, and explained that he's often reluctant to take on work if he's not absolutely sure he can bring his vision to life without the client second guessing it. "I'm very nervous about taking jobs," he said. "I always make sure that if I'm going to work with somebody that they really understand what it is that I want to do. I'd rather not take the job than be vague about how I'm going to do something and run into trouble later on. It's a hard thing to negotiate." He may be particularly gun shy after his experience directing Where the Wild Things Are, which went through several rounds of studio meddling. But even then, he said, he wanted to collaborate on a solution rather than put his foot down—at least at first. "If someone's going to give me a chunk of money and finance my movie, I want to be respectful of that," he said. "But I can only take that on to a certain degree. Emotionally I got more involved in their anxiety about making the movie, and it was pulling me away from that feeling—the excitement of making it. I had to stop talking to them. And they had to either fire me or let me finish the movie. Fortunately they weren't going to fire me." Asked about his creative process, Jonze said it's always about protecting that initial feeling of passion around a project. And for him, every project remains all about that feeling—not about giving the audience any kind of message. Take his latest movie, Her, for example, for which Jonze won the Oscar this year for best screenplay. "I don't know what it is I'm saying," he said. "I know what it is to me, what I'm trying to figure out. Her was conceived from a place of questions that I had and things I was anxious about or trying to understand in terms of relationships, and intimacy, and what makes a relationship succeed or fail, and what things in me bring intimacy or prevent intimacy. "And then there were these questions about how we live in the modern world. I wasn't trying to say, 'Think this, feel this.' I was just trying to represent what I was trying to understand, what I was thinking about, what I was yearning for. And the hope is that if you present that honestly, that it will connect. It's not some clean, simple answer." On the topic of advertising and technology, Jonze mentioned the work of one director in particular: Chris Milk. He pointed to two of Milk's productions: "The Wilderness Downtown" interactive video for Arcade Fire (the Cyber Grand Prix winner in 2011); and "Hello Again," in which he used the Oculus Rift and 6 GoPro cameras to make a 360-degree video of Beck recreating David Bowie's "Sound and Vision." 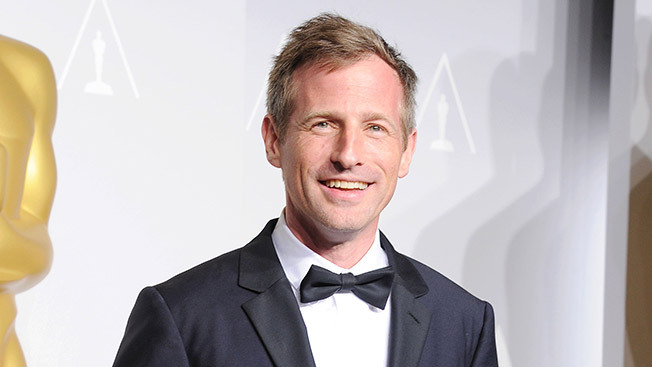 Both projects gave Jonze "that feeling." And don't be surprised if he uses the Oculus Rift himself in a future project. "It was really inspiring," he said of the virtual reality headset, which he tried for the first time recently. "I can imagine doing something with it. It's so compelling. The emotional experience for the viewer—it's just another way of being able to connect." Below, check out Jonze's Grand Prix-winning "Lamp" spot for Ikea.